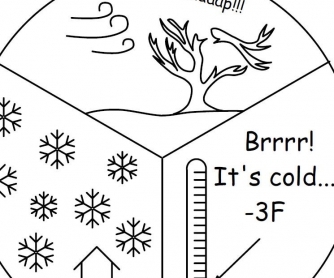 This worksheet, called 'Weather Worksheet: Billy and Maria Learn About Winter Weather - Part 3', with a sub-title 'Billy and Maria learn about Winter Storms', was originally provided by National Weather Service, in cooperation with National Severe Storms Laboratory and NOAA. This 13-pager, belonging to 'Billy and Maria' series, is the last out of three chapters dedicated to winter weather. 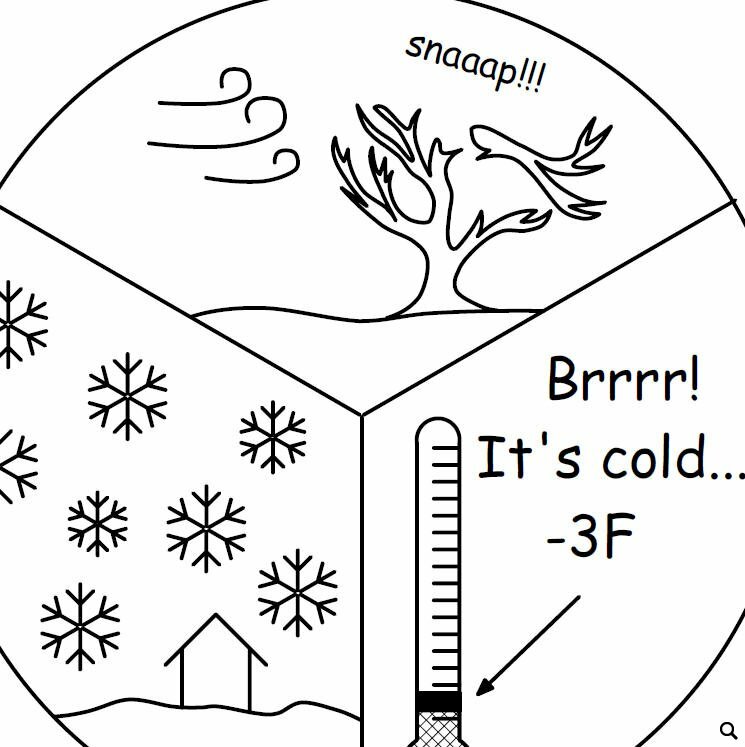 In this chapter, Billy and Maria learn what hypothermia is, how to recognize its symptoms and what to do to help someone suffering from it. Billy and Maria have also learned how a winter storm is formed. As usually, the worksheet of the series offers some facts about the National Weather Service, National Oceanic and Atmospheric Administration and National Severe Storms Laboratory, as well as their missions and responsibilities. The last page of the booklet is a list of chapters belonging to the 'Billy and Maria' series.